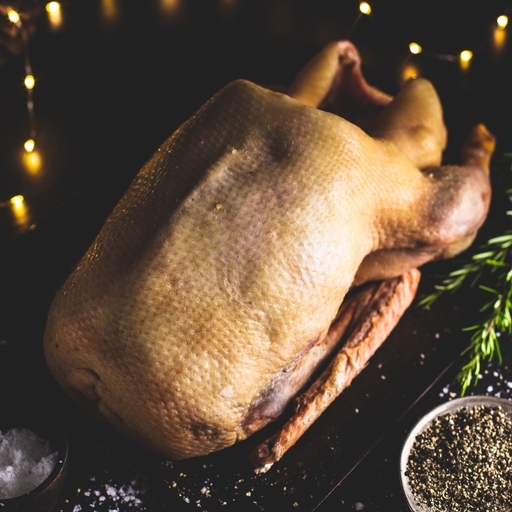 Our goose has sold out; why not have a look at the rest of our organic meat range? Serves 3-4, minimum weight 4kg. Ross Gardner rears our geese at Otter Valley Farm in Devon. His family has been farming poultry for 45 years, so they certainly know how to keep their birds happy. The geese pad around the fields in a small flock and graze the organic pasture, as well as getting a little supplementary organic feed. They are determined foragers and have plenty of outdoor space to express their natural behaviour. At night, they prefer to head inside their straw-filled barn.